Fresh from his two-race ban for ignoring a black flag at the British GP, Michael Schumacher resumed normal service by streaking to a comfortable victory at Jerez ahead of Damon Hill and Mika Hakkinen. This was also Andrea de Cesaris’s final grand prix - albeit in slightly unusual circumstances. 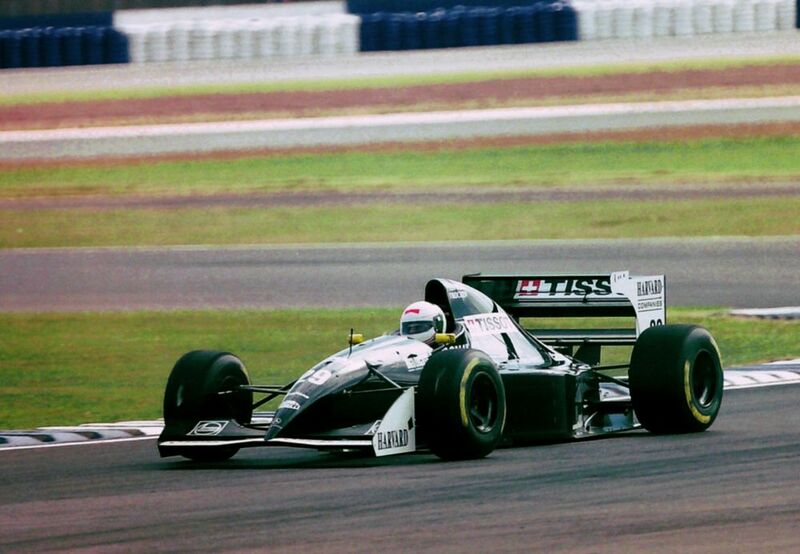 For much of the season he’d been racing for Sauber in place of the injured Karl Wendlinger but following the European GP (which de Cesaris retired from with throttle problems) Wendlinger was expected to return for the final two races. As it turns out he wasn’t quite fit enough, so the team tried to get de Cesaris back. However, he’d gone off on holiday and nobody could get hold of him, so Sauber got JJ Lehto to drive the last two races instead. 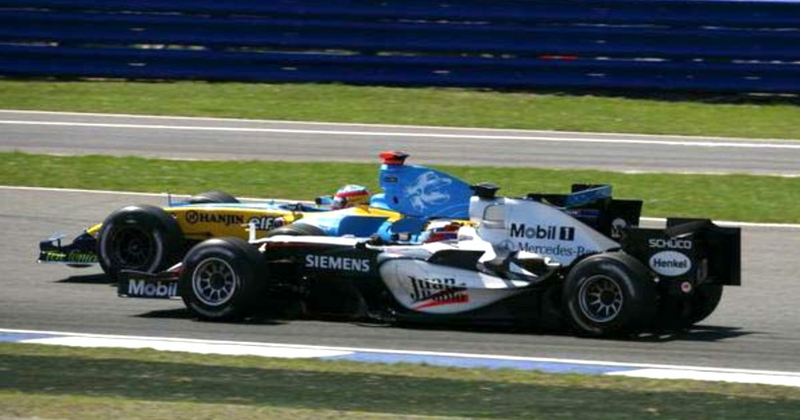 The final race of 2005 was set for a showdown for the constructors’ title between Renault and McLaren. With Renault now on full attack having sealed the drivers’ championship for Fernando Alonso, the team secured the front row in qualifying and Alonso comfortably won the race ahead of Kimi Raikkonen. With Giancarlo Fisichella in fourth behind Ralf Schumacher, it was enough for Renault to win its first constructors’ title. 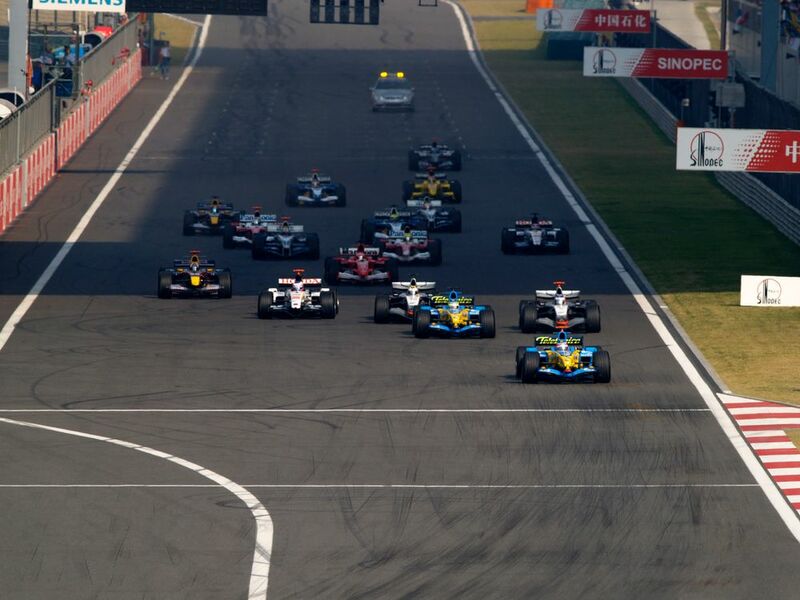 However, things might not have been that straightforward had Juan Pablo Montoya finished the race. He was running fourth when he went over a kerb and struck a drain cover that had worked its way loose. He kept going for a while but the damage it caused was so bad that he eventually had to retire, effective sending McLaren’s title hopes down the drain with him. Lewis Hamilton took the only non-Red Bull pole of the season but was powerless to stop Sebastian Vettel from winning his 10th race of the season, becoming only the second person (the first being Michael Schumacher) to take his season win tally into double figures. Hamilton held on for second, just ahead of Mark Webber, with Jenson Button and Fernando Alonso not too far behind. 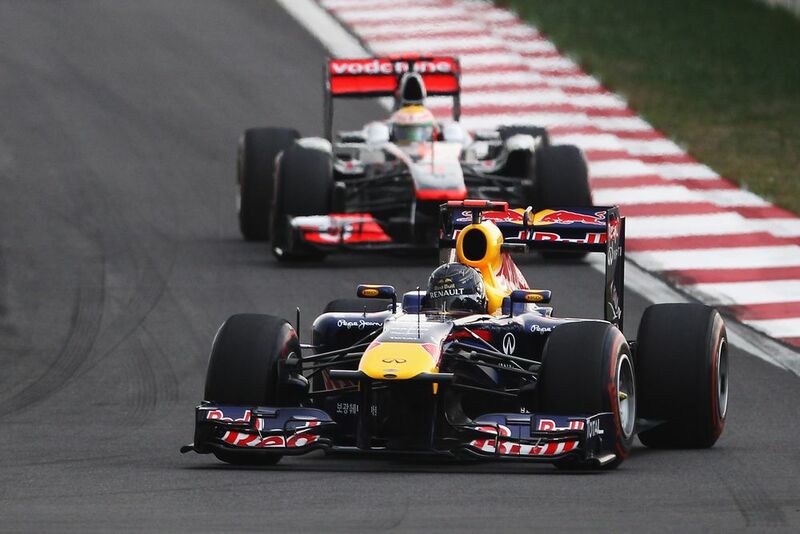 The result also gave Red Bull its second constructors’ championship in a row. Tony Rolt (born 1918) drove in the British GP three time - in 1950, 1953 and 1955 - but retired from the race on each occasion. After his racing career Rolt went on to help design and pioneer four-wheel driver cars in motorsport. He was also the last surviving member of the inaugural world championship race until the time of his death in 2008. Peter Ashdown (born 1934) entered just one race - the 1959 British GP - and finished 12th. Charles Leclerc (born 1997) had an outrageously good junior career, winning the GP3 and Formula 2 titles in his debut season. In his first F1 season with Sauber he continued to impress, landing a seat at Ferrari for 2019.